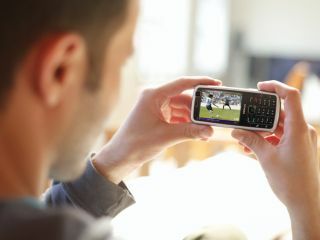 A leading analyst has warned that consumers might not fall for mobile TV in the way the industry expects them to. Revealed at this week's 3GSM event in Barcelona, a report by Analysys suggests that while people like the idea of mobile TV, this does not necessarily mean that they will be willing to spend to get it. "The industry is stuck in the traditional 'technology driven' approach, whereas consumers simply want to watch televisual content on the move, without consideration of the underlying technology used to deliver that content." That's according to Jim Morrish, senior consultant at Analysys. The report also suggests people are in favour of consuming mobile TV via methods other than a straight broadcast. This includes the auto-download and storing of favoured content, as well as on-demand programmes. The study says extra functionality such as this is crucial to making a mobile TV subscription model work. Morrish warns it should not be assumed that mobile TV must involve the real-time broadcast of multiple channels. "This generally accepted model has a number of substantial drawbacks, not least of which is that coverage of broadcast TV networks may not extend into underground rail systems," suggests Morrish. "Also, there is the implicit assumption that commuters will time their commute to coincide with the broadcast of the mobile TV content that they want to watch."